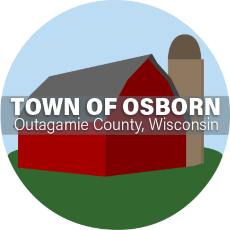 Effective December 1st, 2017 the town of Osborn will only be accepting permits for one and two family homes after the builder or owner has submitted the State online permit application. The online building permit system was developed by the DSPS to allow municipalities to gain compliance with ACT 211. The owner, builder or agent shall complete the application form and the online building permit system will route it to the enforcing jurisdiction. After completion of the online form you may submit your plans and other required information to me as has been done in the past. Monday — Friday: By appointment only.